The National Weather Service has placed the southern half of the region under a Freeze Warning for early Tuesday morning. 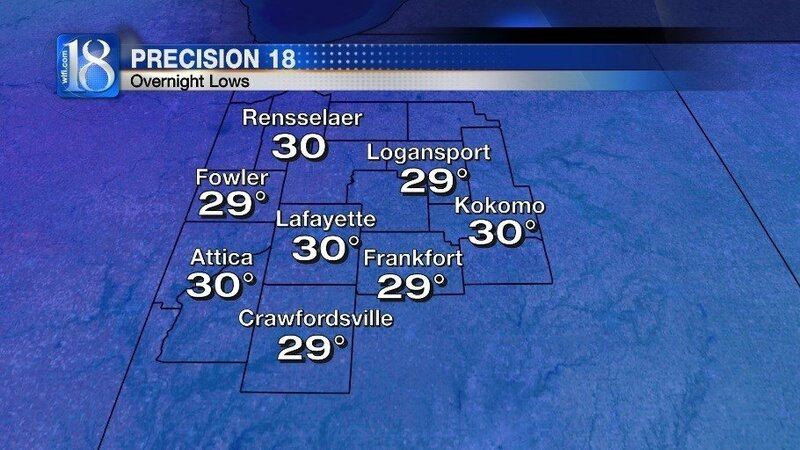 Temperatures overnight may dip into the upper 20s for many of us; we'll fall to 30° in Lafayette. 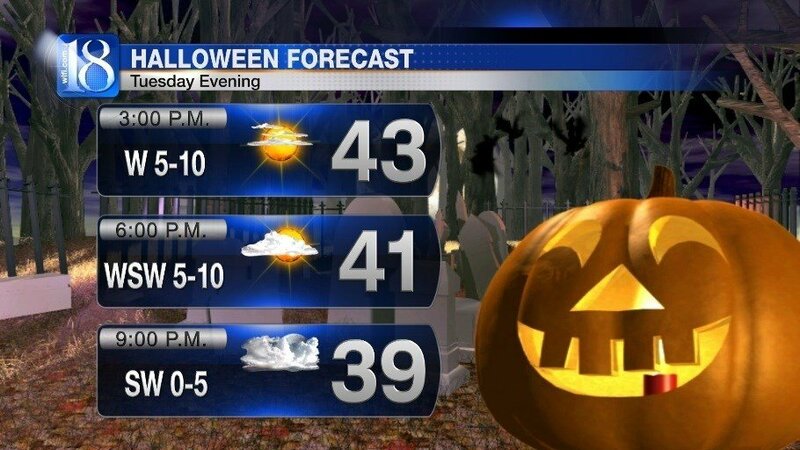 Halloween's clear and cold start will give way to a chilly afternoon. 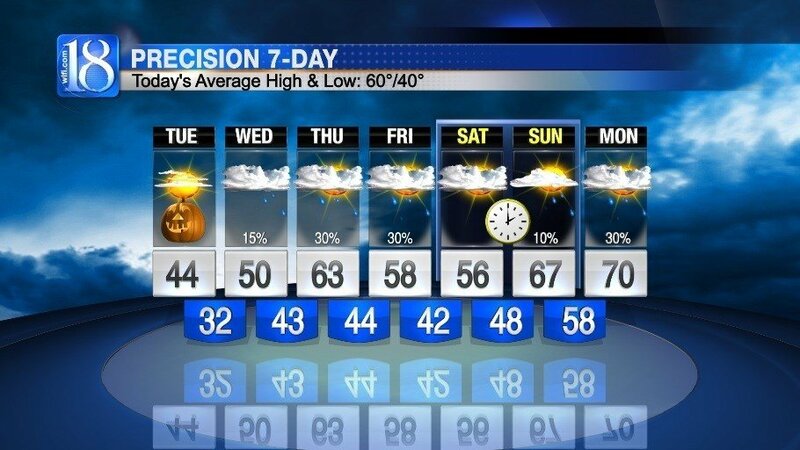 High temperatures Tuesday will only climb as high as the mid to low 40s tomorrow afternoon. It's probably a good idea if the superheroes and princesses add an extra layer for trick or treating. Tuesday's anticipated high of 44° will mark our fifth straight day of sub-average temperatures in Lafayette. 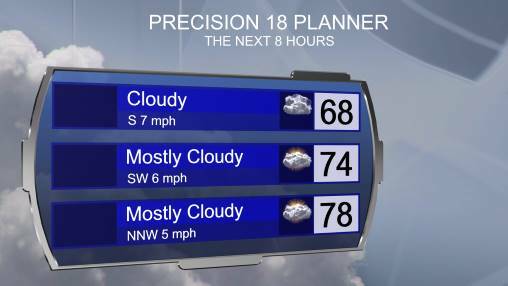 While the forecast ahead doesn't exactly appear ideal, at least there is some warmer weather on tap for Lafayette over the days to come. 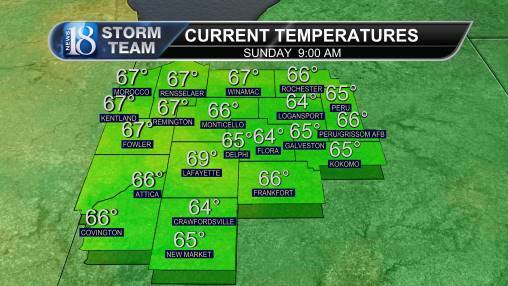 If the current models hold, temperatures could climb into the upper 60s and even low 70s by the end of your extended forecast!